Do not stress over storage! 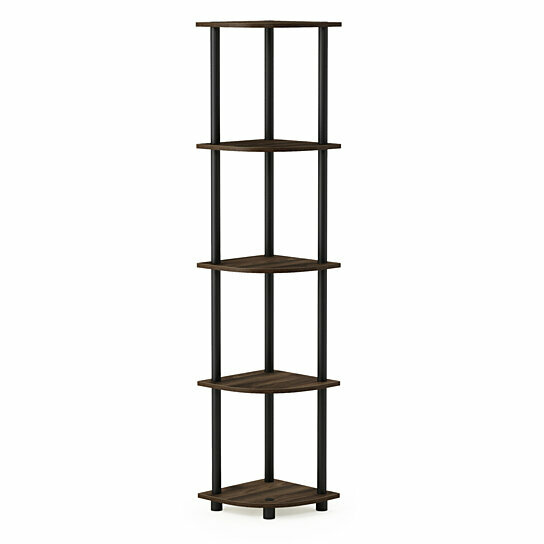 Effortlessly stow and display your belongings in charming style with this lovely bookcase unit. Simple yet sophisticated, this sleek design can blend in with a variety of ensembles. The three-beam frame gives this design a sleek look, while the wood-style shelves add a touch of traditional flair. More than just stylish, this design features five open shelves for all your storage needs, and a corner design to save space. Try setting this design in a corner of your living room, then fill the shelves with a stack of vintage novels, an antiqued clock and a few framed family photos for a classic display. Need space to stow your media accessories? Add corner style baskets to the shelves to tuck away your belonging in style.